A holiday on the other side of the world is all well and good, but then there’s the jetlag to contend with. Currently, sleeping through the night is somewhat of a challenge and staying awake at work is only achieved with multiple cups of coffee and not allowing myself to sit down for too long, anywhere. These are the times that I am thankful that I do not have a desk job. Gradually, my brain is convincing my baffled body that night is day and day is night. Is it just my imagination that this transition gets more challenging the older I get? The plus side to being wide awake against my will at some unearthly time is that it gives me a few unaccounted for hours with which to do things. 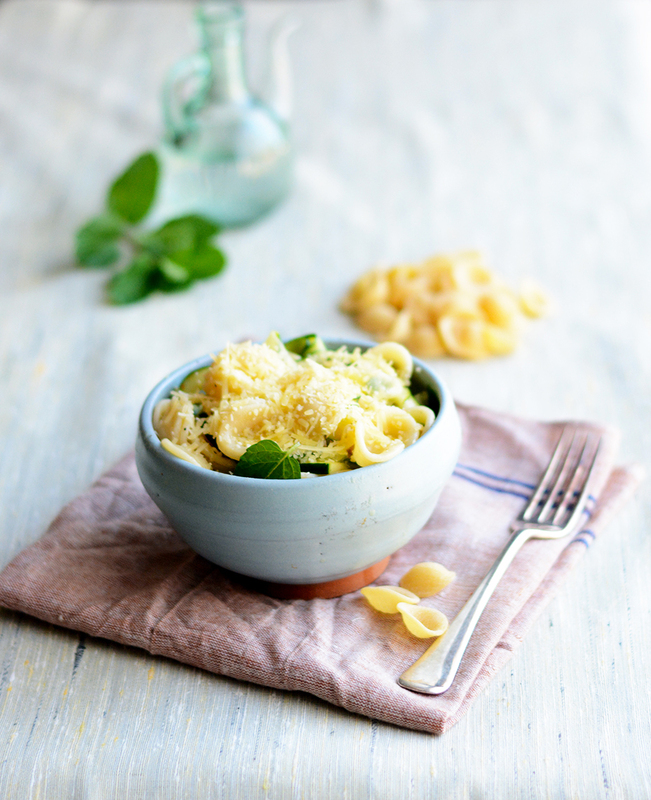 My hunger pangs led me to trawl through the pantry before the sun was even up and in the midst of cramming everything that was remotely edible into my mouth, I came across some lovely pasta from the good people of Barilla. One pasta bible, a quick scramble for herbs around the still-dark garden, and half an hour later, there was a tasty, nutritious lunch to look forward to on my first bleary-eyed day back at work. You use the zucchini raw but the thin slices get partially cooked by the acidic lemon juice. Cool, right? 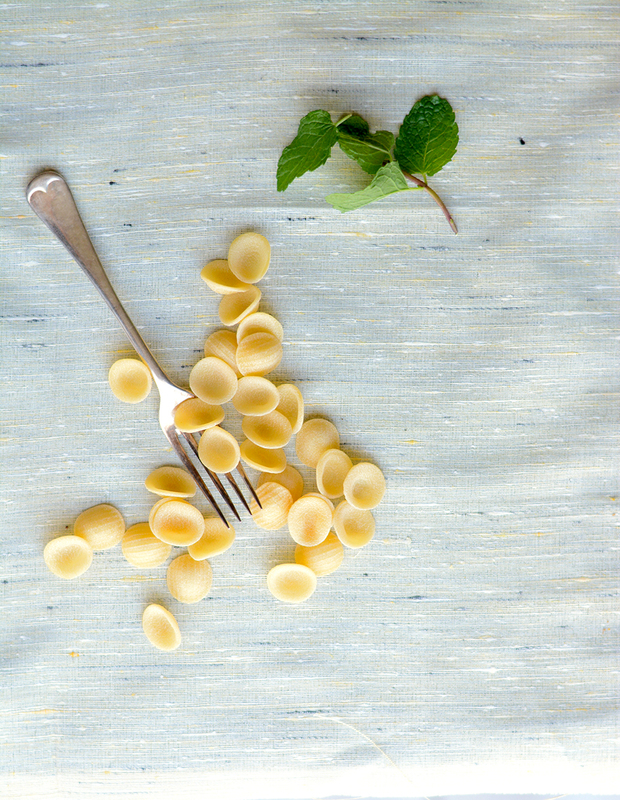 I am quite partial to Orecchiette but you can, of course, use any short pasta that takes your fancy. For more pasta-related shenanigans, try out one of the classes at Casa Barilla in Sydney. Using a vegetable peeler, shave the zucchini lengthwise into strips. 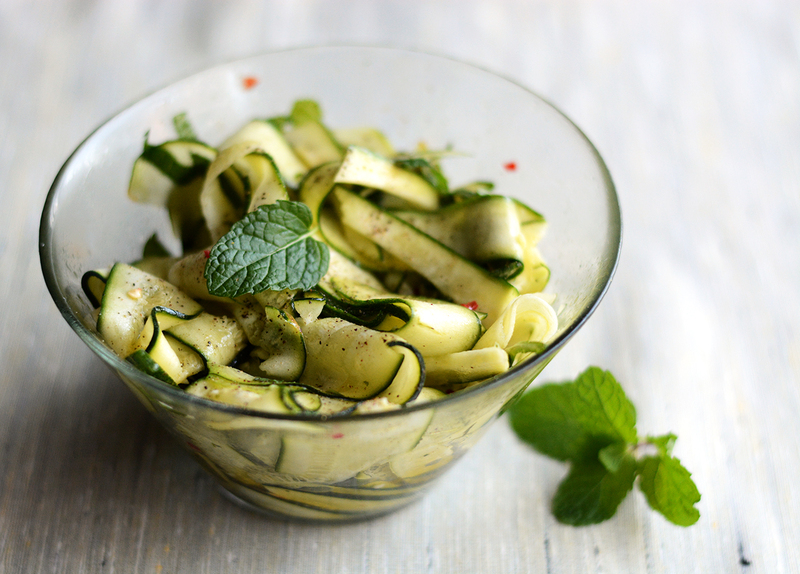 In a large bowl, toss the zucchini strips with the chillies, mint, salt, pepper, lemon juice and olive oil. Leave for 20-30 min. Cook the pasta in salted water according to packet instructions until al dente. Drain and toss the pasta with the zucchini. Taste and add more salt or pepper as neccessary. 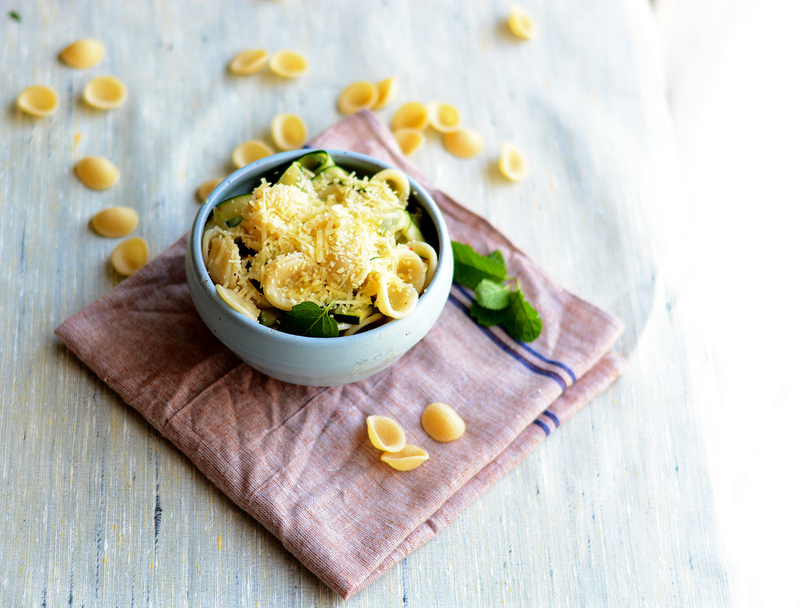 Serve with a generous amount of parmesan or pecorino grated over the top. This is NOT a sponsored post, however the pasta was kindly supplied by Barilla. Mmm beautiful. Such a lovely summery sort of lunch. Looks so lovely and fresh tasting! I hear you on the jetlag – just got back from over a month in Pakistan and let’s just say coffee and I have become extra tight! I can’t wait to try this awesome recipe. Thank you for sharing. http://www.segmation.wordpress.com. Your photos are so beautiful! I can’t wait til summer veggies start growing in my neck of the woods, so I can make this. Just thinking about the flavours made my mouth water. i love pasta with lemon juice and garlic! Me too! I toyed with putting garlic in but refained as would be eating it at work and prefer to anaesthatise patients with drugs rather than my breath! Might add garlic next time though….. This looks delicious. I love to have many easy and simple pasta recipes on hand, especially for summer. Thanks. Pasta is one of my go-to dishes too and while I love a tomato based sauce, it’s good to have variety! Thank you for the lovely comment. Hope to see you back here soon! So simple, yet so beautiful, and I would imagine super tasty, Deepa! Thank you! Yes, it was nice to have a lovely lunch to look forward to at work. looking good……..like this want to try…….#wordpress! Thank you! And thanks for reblogging. Me too! It really does cup the sauce. Thank you! Haha….let me know how they taste! Thank you so much! had a peek at your blog and really liked your photos too! The pictures make everything look so yummy! Enjoyable read. Making this right now, thanks for the inspiration! Pleasure! Hope you liked it! Thank you for sharing, this is such a simple recipe and the final result looks delicious! I will surely give it a try. Also, I really like the photos! You are welcome! There are days when only a simple recipe will do 🙂 Thanks for the lovely comment! Yum! I keep trying to find orichiette in the regular super market, but it looks like a long drive to the “fancy” market might be in order. I love raw zucchini shaved like this, although, I am partial to basil instead of mint. Either way, such a pretty salad. And I must eat salad now, because last night I did myself in with pizza and wine. Boo. Hehe…not sure that balancing out pizza with pasta is quite the way to go but I do like the way you think Sara 🙂 Basil would work nicely as well but do try the mint sometime as well! I’m going to try this. Looks delicious! This looks yummy. I love pasta !! Yes that would be lovely too….. This looks delicious. Greats pics. Thanks for the recipe. 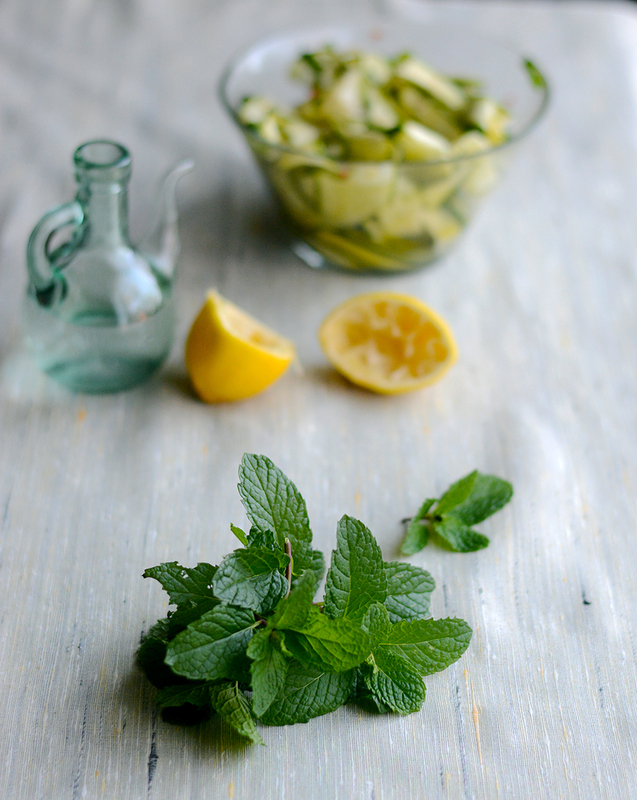 What a great idea to do such thin strips of zucchini and have them “cook” in the lemon juice! Love it. I am going to make it this week.